This delicious cake has two layers of moist chocolate sponge, with light and fluffy pink raspberry mousse in between and all around. 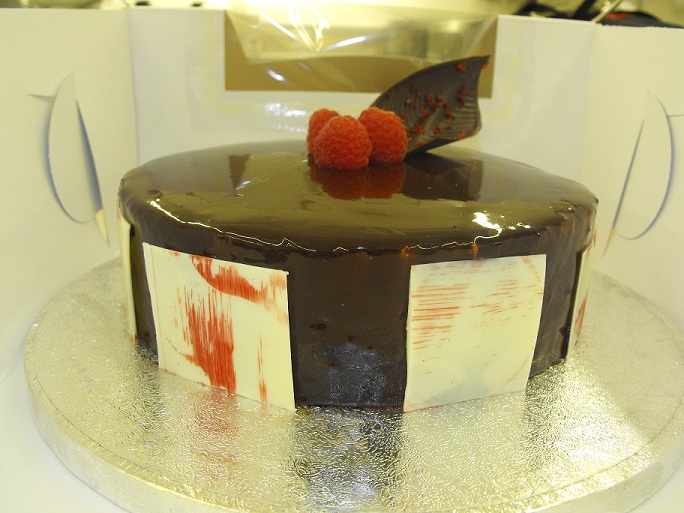 Then a decadent chocolate glaze over top, and decorated with a chocolate leaf and fresh raspberries. Yummy! 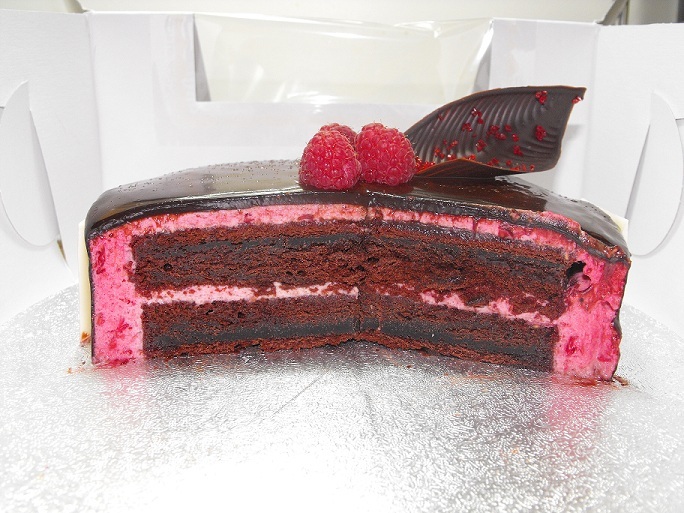 An inside look at the delicious Chocolate Raspberry Mousse Cake. 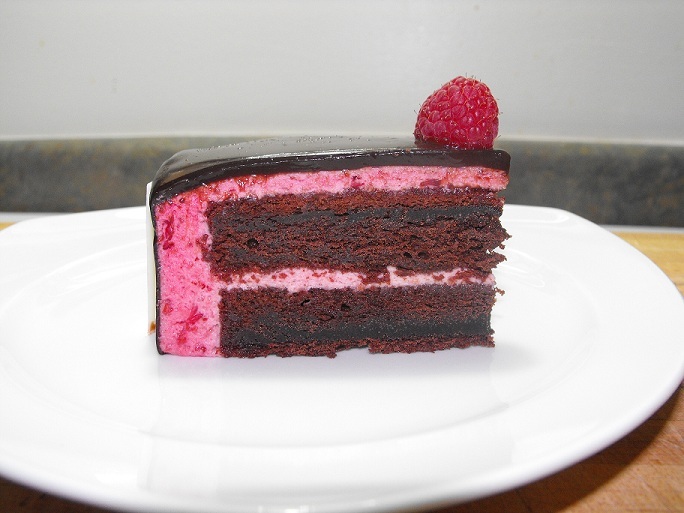 A yummy slice of Chocolate Raspberry Mousse Cake. A close up of my Chocolate Raspberry Mousse Cake. 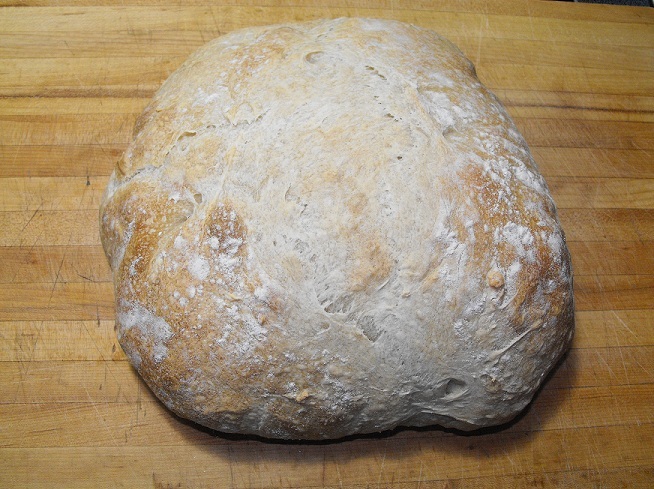 When my schooling started up again at the beginning of May, one type of class was missing from my schedule – Artisan Breads. Its not that I didn’t want to take the next class, unfortunately, my schedule conflicted with the only scheduled class. And thus, I had to make a very difficult decision – to put Artisan Bread on hold. Well, at least only temporarily. Because a long weekend means there are no classes Friday through Monday. 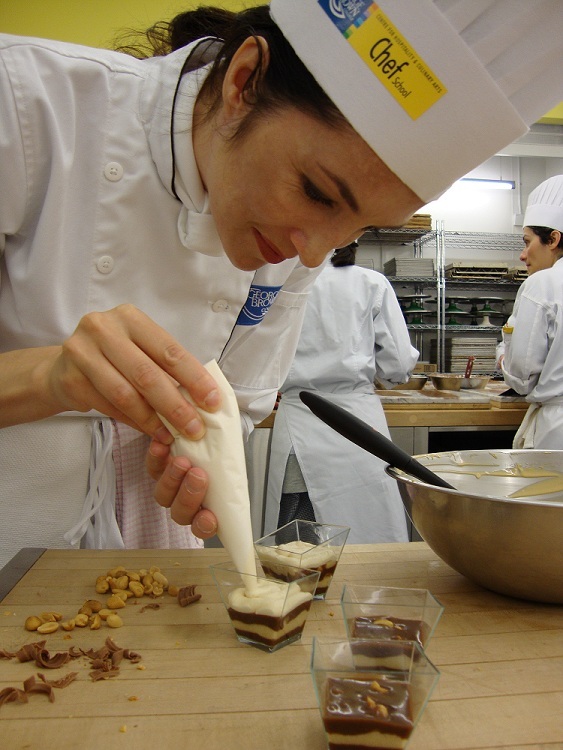 And I have two classes during those days – Saturday mornings ‘Chocolate Desserts’ and Monday night’s ‘Art of Cookies’. But alas, they did not happen. That said, it was Tuesday yesterday, and that means I had my Cake Decorating 2 class. “So what did we do?” you ask. We made Fondant. 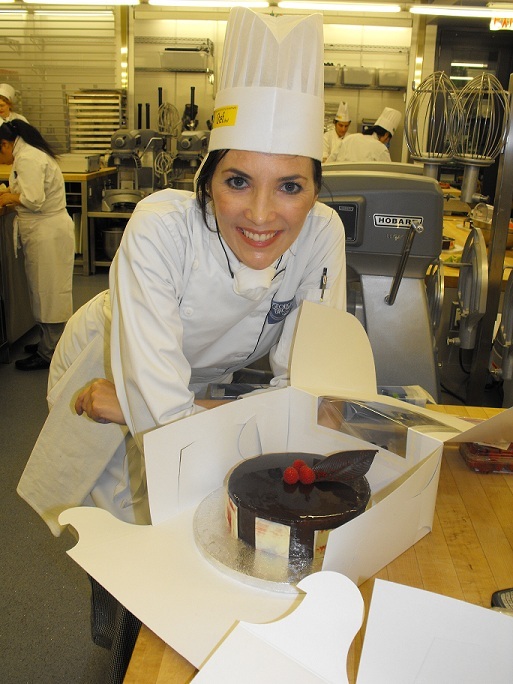 We had a demo on how to make your own Fondant from scratch. We also worked with commercial Fondant. I will admit it was my very first time. And I will also admit, it is much harder than it looks on tv! Ha! But that’s okay. The class was developed to be a learning experience. We brought in styrofoam cake dummies, and cake boards. And we learned all kinds of different techniques like: embossing, crimping, and just working with Fondant. Last night was my first Chocolate Theory class and we learned about the History of Chocolate, and the Cocoa Plant. Its going to be a tough class b/c there is alot of information to learn. I even found out that I have six exams over the next four weeks! Yikes! 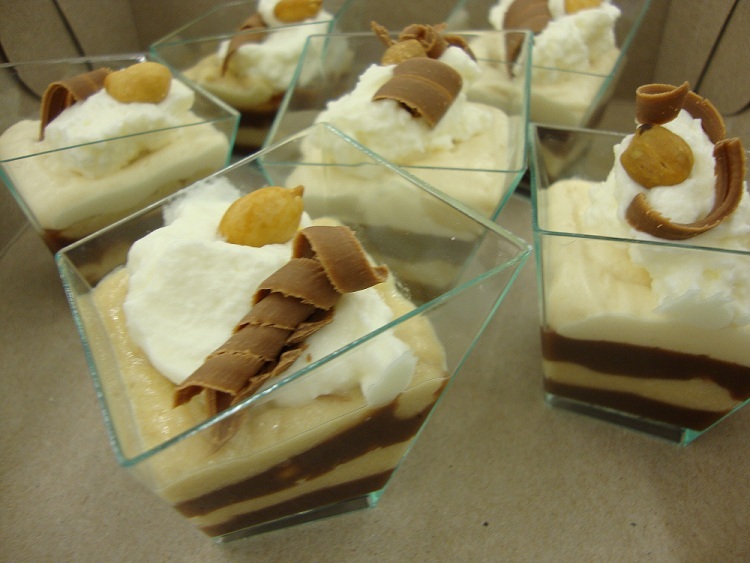 A classic North American flavour combination, this dessert can easily be made into single servings, or be served in shot glasses without the shell/crust. It is made of layer upon delicious layer, starting at the bottom with a sweet paste shell. Then whole peanuts, a a yummy thick layer of caramel. Next you add fluffy clouds of peanut butter pastry cream piled high. Then topped off with a white chantilly in the centre of the tart. Lastly, sprinkle peanuts and chocolate curls on top. Fabulous! A side view of the Peanut Butter Tart piled up. 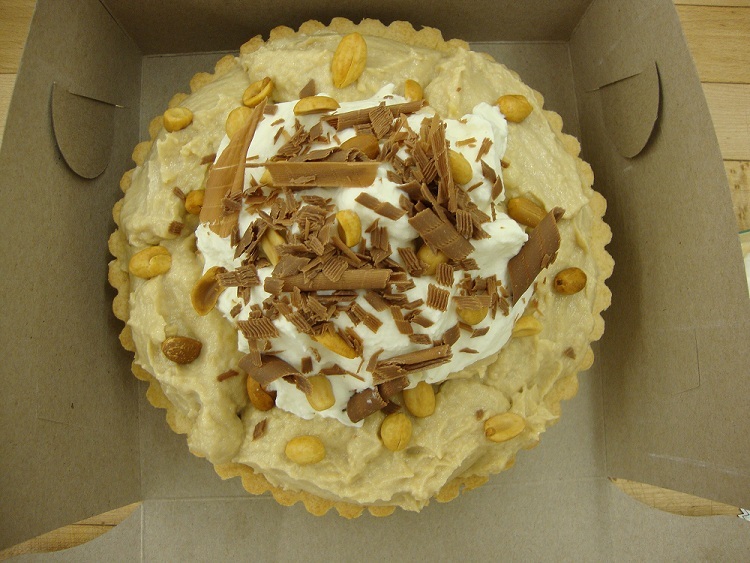 A view from above of the Peanut Butter Tart. 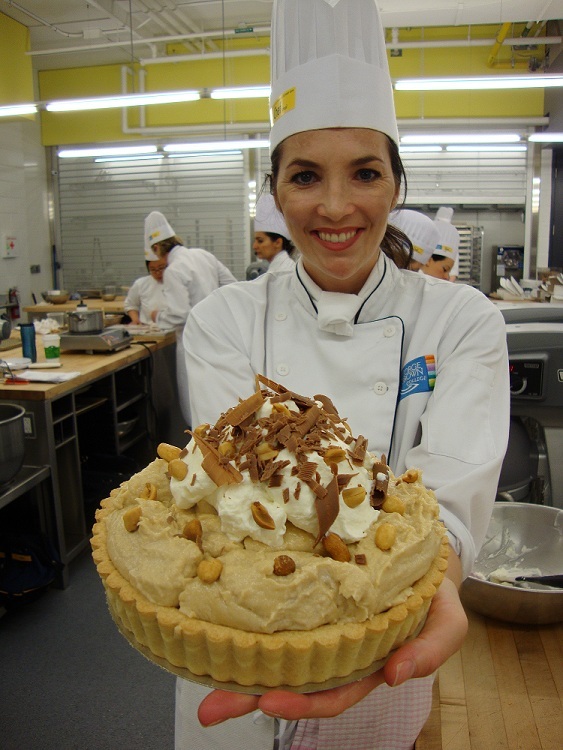 Piping the layers into single servings or Mini Peanut Butter Tarts in cups instead of a crust. 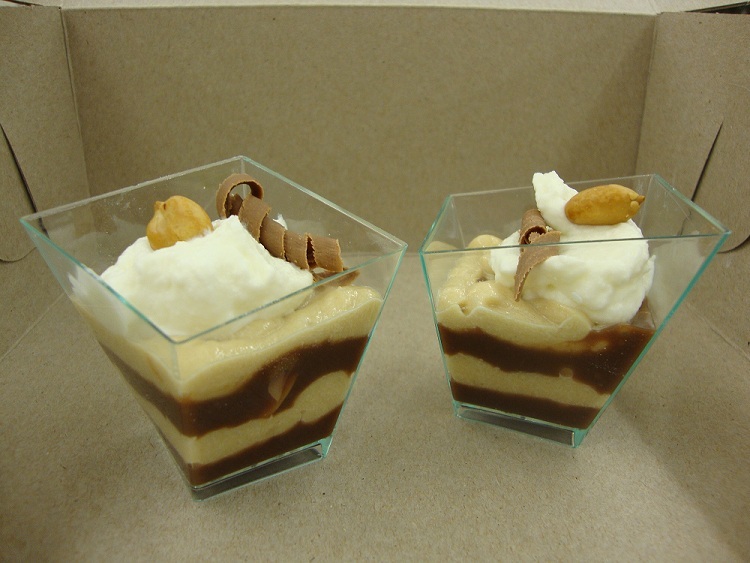 Single servings of the Peanut Butter Tart in cups. 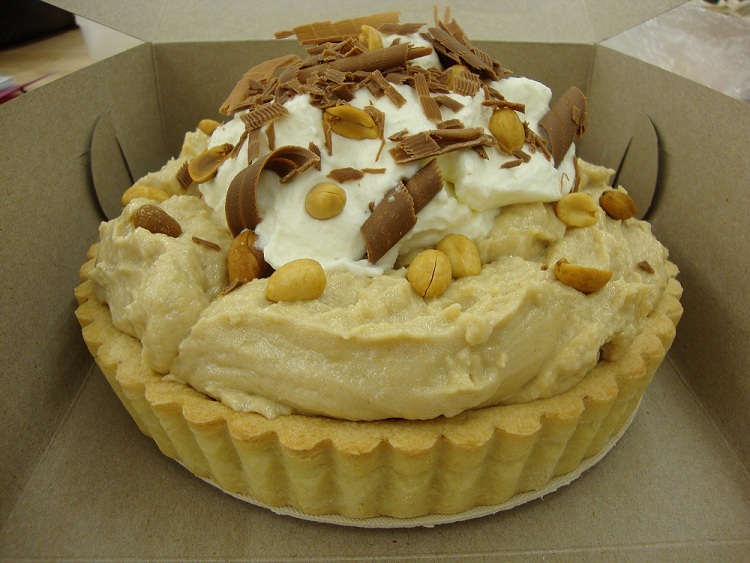 A yummy close up shot of the Peanut Butter Tart single servings. 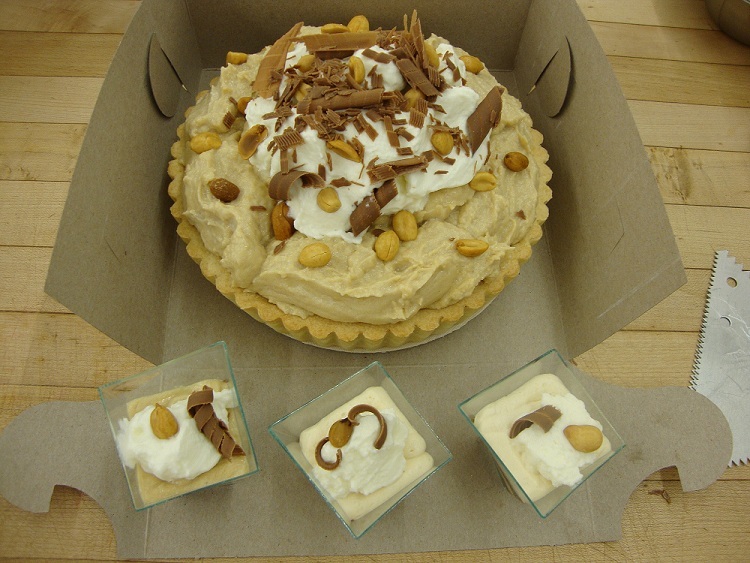 A complete set of full size Peanut Butter Tart and yummy mini single servings. In last night’s Cake Decorating 2 class we made Pastillage. We used that Pastillage to cut and mold pieces to make a box for next week’s class. In Italian, biscotti means “twice cooked”. 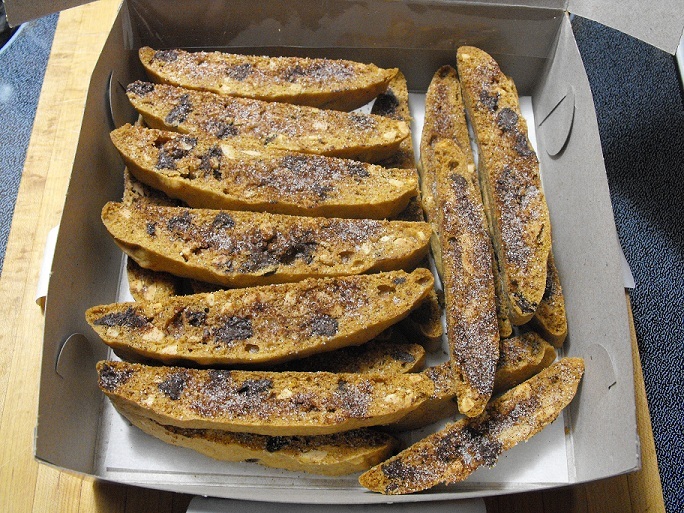 The word biscotti is derived from bis (twice) and cotto (cooked). 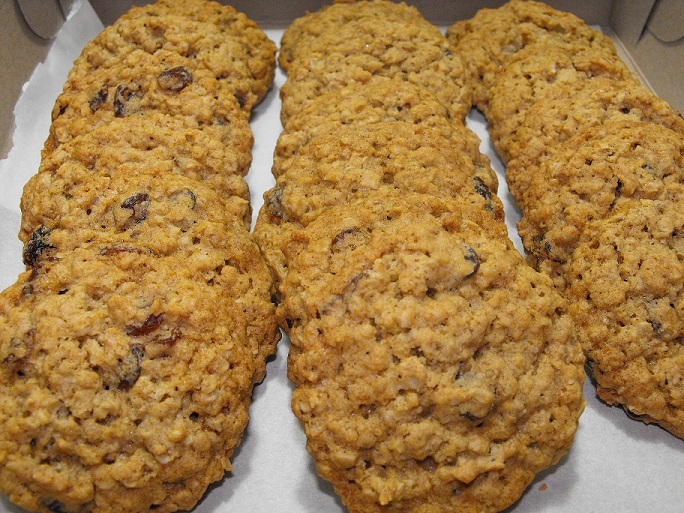 Biscotti is also the generic term for cookies in Italian. 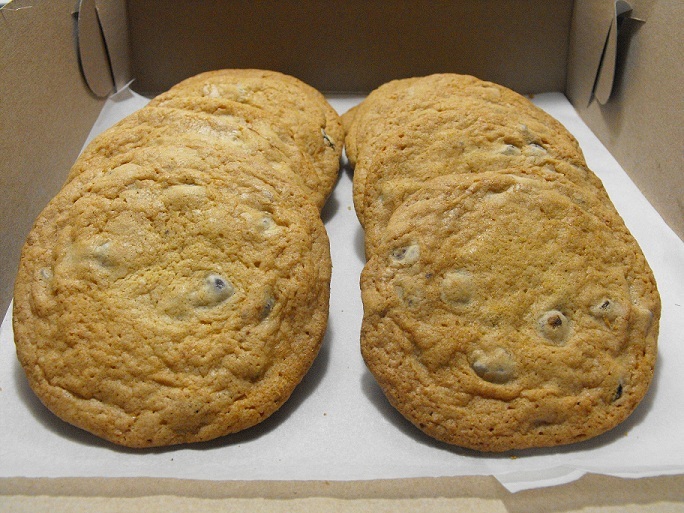 The dough is formed into logs and baked until golden brown. 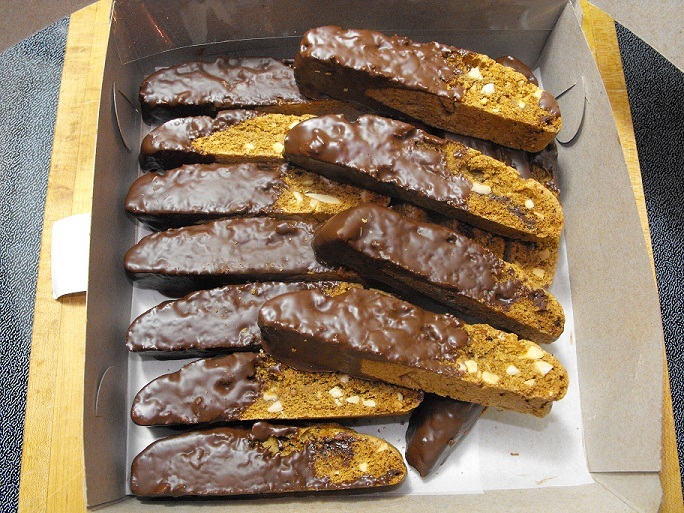 The logs are then sliced, and the individual biscotti are baked again to give them their characteristic dryness. Espresso Biscotti dipped in dark chocolate.